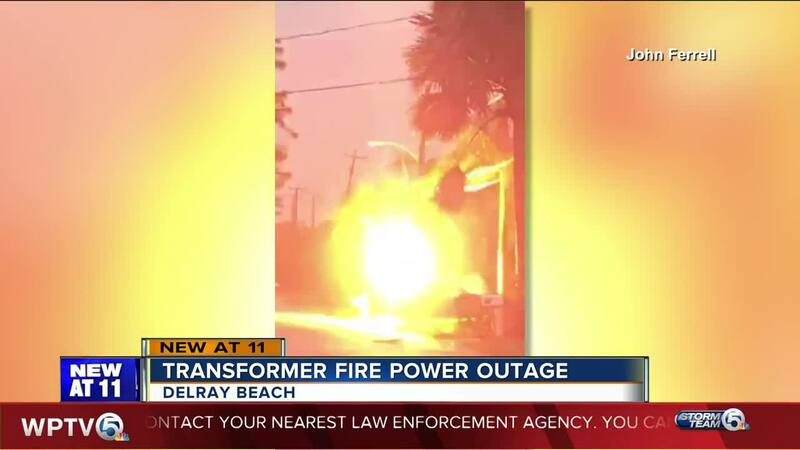 DELRAY BEACH, Fla.-- There was a fire following a lightning strike on a transformer in Delray Beach Monday morning. 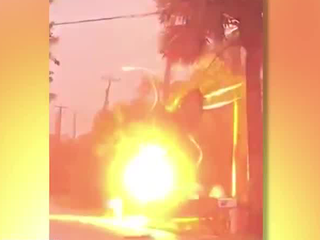 That's according to John Ferrell who recorded video of the flames sparking from a power pole. He said it happened in the Tropical Isle neighborhood. A four-month-old car parked underneath the pole suffered a broken window, flat tire, and fire damage. The owner said everyone is OK.
Florida Power and Light dispatched a crew to the scene to make repairs. Power was out for about 2-and-a-half hours.